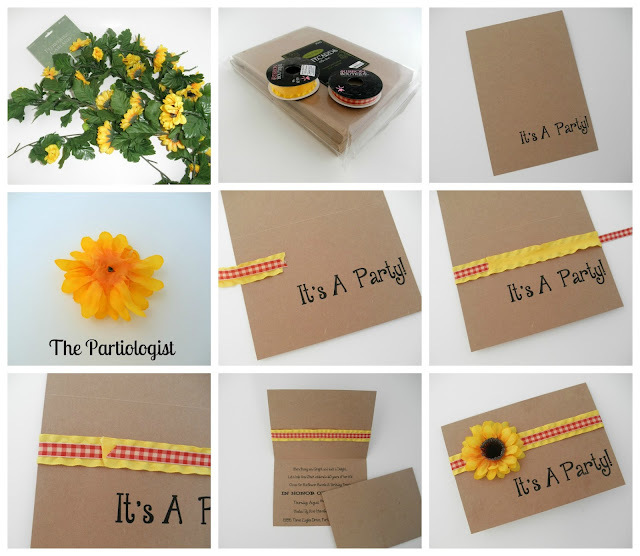 The Partiologist: Sunflower Themed Party! 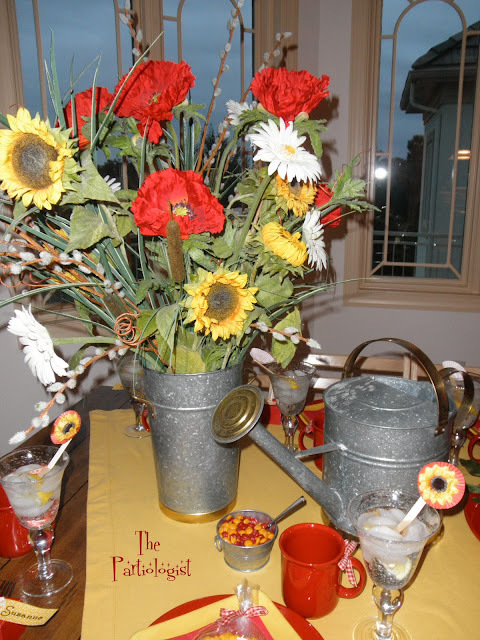 With school now in session, I'm hoping that you've signed up for the next class - A Sunflower Birthday Party! I'll start with the invitation and a couple other easy ideas. Since I don't listen to my own advice and buy invitations, I made them...again. Here's how you can make some too! Did this with my Avery Labels. I wish they would pay me to promote them. But they don't. I just thought they would make a cute return address labels for the back of the card. 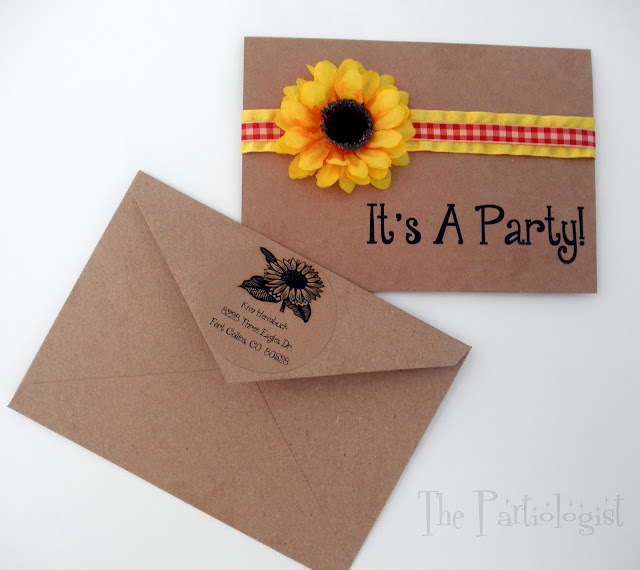 Be sure and take the invites to the post office and have them hand canceled (because of the lump from the flower). Also, they will need extra postage. 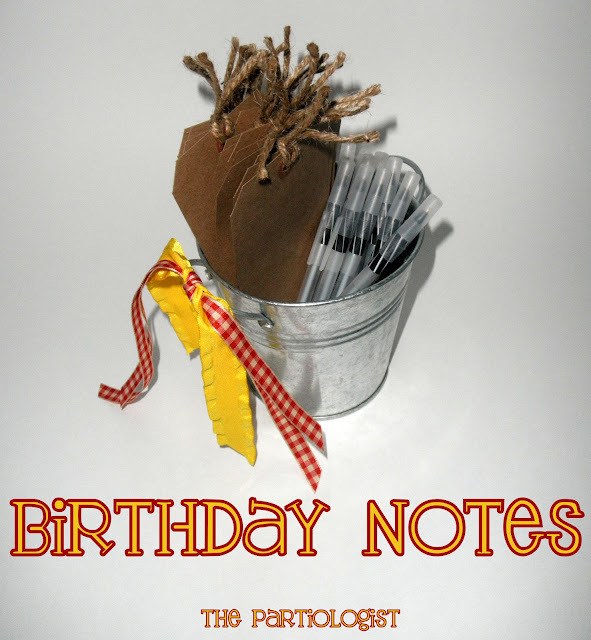 I made some birthday tags for each guest to write a personal birthday wish. After each guest wrote their birthday wish, I sealed them in a pretty bag for her to open the morning of her birthday. I also added a cute sunflower stir stick to the glasses. 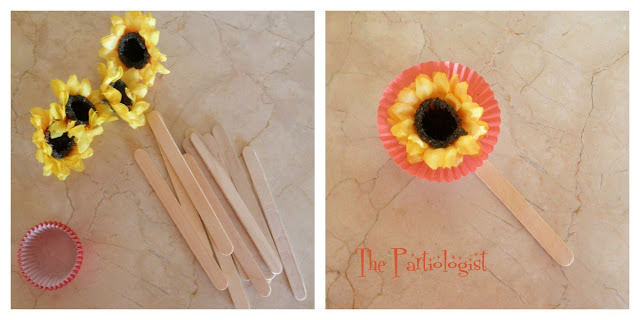 Made with some of the sunflowers off the vine, cupcake papers and popsicle sticks. Don't go far, I've got sunflower's blooming all over the place!! 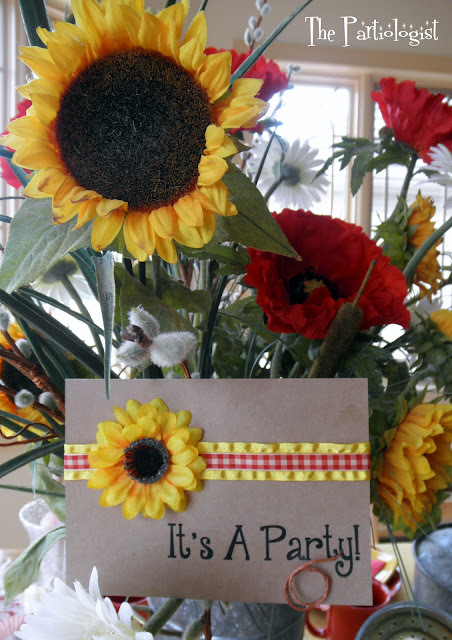 Sunflowers are my favorite flower! Then you will love all the sunflower treats I've made! you are the sweetest friend ever, opening those notes on her birthday will be so touching for her! may even bring tears to her eyes! The invitations are adorable as are the sunflowers stir sticks! I'm going to love watching this party theme progress. Oh Paula, I can't wait to show everything I came up with. I get so excited, but I'll have to pace myself! I agree, a few free labels would be great! So happy you love the invitations. The paper I used came in a pack of 25 cards and 25 envelopes. 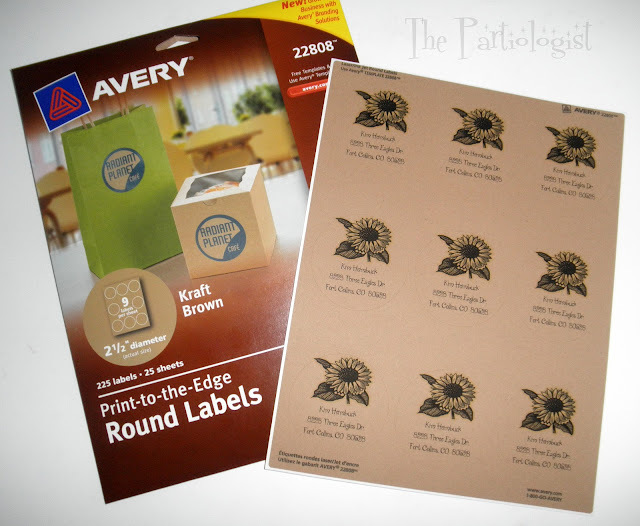 They were a brown (kraft color) card stock weight. I got them at Hobby Lobby (you might be able to find them online). Good Luck!